Rob Lopez' coach at North Alabama talked up the performance of his senior starter in the first half of that April 1985 double-header by comparing it to the second half, The Florence Times Daily wrote. In the first half, Lopez shut down visiting Delta State, throwing a complete game, giving up just one run. In the second game, that same Delta State team showed it could hit, putting up 10 runs. "Robert threw the ball well against a very good hitting ball club," North Alabama coach Mike Lane told The Times Daily. "It's obvious by the second game that they can hit the ball. He kept them off-balance with his breaking pitches all day." Lopez went on to keep hitters off-balance as a pro, signing with the Reds as an undrafted free agent. He even went on to make the team's 40-man roster. Lopez, though, never had the opportunity to try to keep hitters off-balance in the major leagues. Lopez arrived at North Alabama, growing up in Port Arthur, Texas. From North Alabama, Lopez then arrived with the Reds and was sent to rookie Billings. At Billings, Lopez continued his stellar pitching, going 8-2, with a 1.32 ERA in 16 outings. He moved to single-A Tampa for 1986, going 12-5, with a 1.92 ERA. He made AA Vermont the next year, going 13-4 there. He even got a brief look at AAA Nashville. Lopez also earned a spot on the Reds' 40-man roster. For 1988, Lopez pitched full time at Nashville, getting 22 outings, 7 starts. He posted a 3.95 ERA. 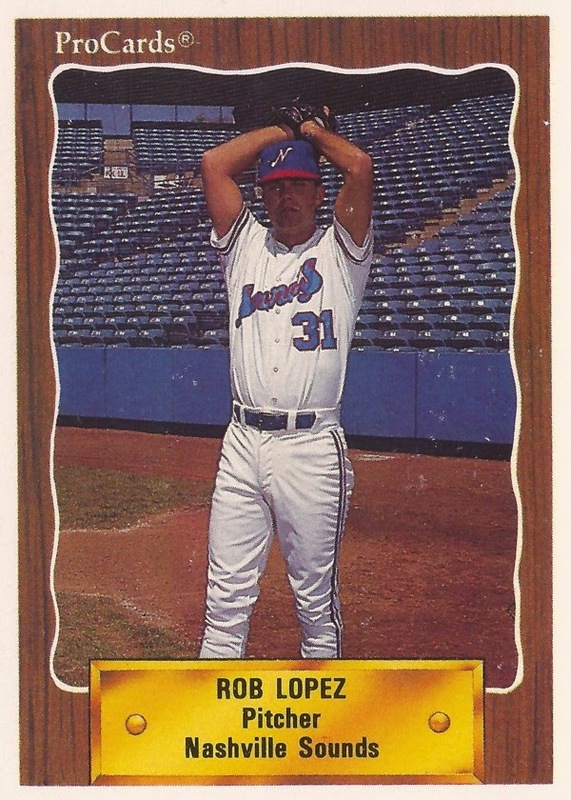 Lopez then returned to Nashville for each year through 1991. In 1989, he got 26 outings with Nashville, with a 4.61 ERA. He turned starter for 1990, going 7-10, with a 3.38 ERA. Three more starts at Nashville for 1991 and Lopez' career with the Reds was over. He picked up seven more outings at independent Reno that year, then is credited with four final starts three years later at independent Beaumont in his home state of Texas, ending his career.